If you could sum up the first volume of The Glory of Losers in a single word it would be “perplexing”. In that while it draws at your curiosity, you at the same time have no idea what is happening nor why. The Glory of Losers Vol 2 starts much the same way, however by the end of the volume the narrative choices of Katsuyuki Sumisawa make more and more sense and the shape of what The Glory of Losers wishes to be is starting to become clear. As a continuation from Volume 1 my overall impression of the series has not really changed at this point. The series is still primarily aimed at fans of the original anime, OVA, and theatrical cut of Endless Waltz. However the erratic nature of the scene shifts has been muted somewhat. While there are still jarring shifts to other members of the ever expanding core cast, they are less frequent and make more sense considering future events. 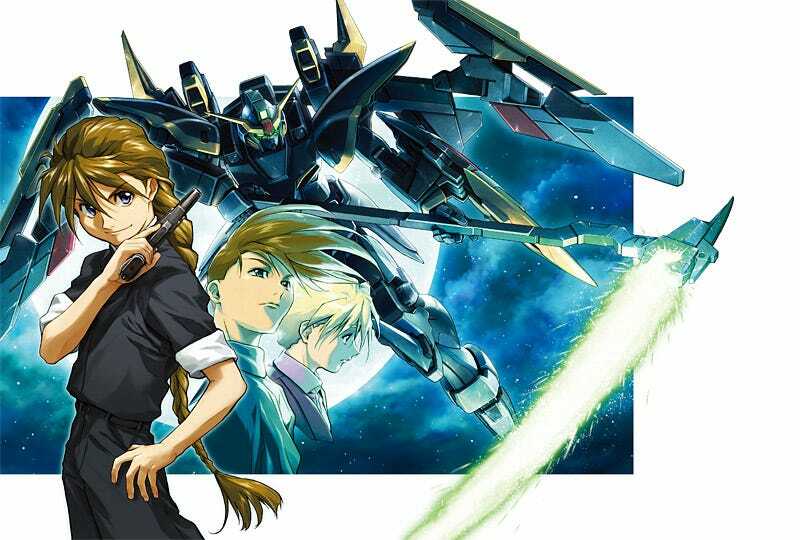 Where my opinion of the series is shifting however is on the idea that this could in time be the authoritative version of the Gundam Wing story is aims to be. Avoiding spoilers in this Volume a very important detail is revealed for the first time to a large portion of the fan base, regarding a nagging detail left out of the series. This new information does not change the series in anyway however it expands on our understanding of the character in question and answers a question fans have had for the better part of two decades. If Glory of Losers has more such moments and potentially those that pass the end parts of the film such as Frozen Teardrop as promised there is a chance this being the definitive version of Gundam Wing. Finally much like the first Volume Glory of Losers artwork remains top notch and its mech designs likely surpass the first Volume. With better looks at all the main suits including the redesigned Shenlong Gundam and Wing Gundam Glory of Losers artwork could easily be described as a form of fanservice. Furthermore, with the cast of characters expending in this Volume I was curious to see if they remained as faithful to the anime. This was especially important as a few of my favorites made their debuts including Lucrezia Noin this Volume. Fortunantely the models remain on point and the quality of the series top notch. All around after a rocky start I feel confident in saying Glory of Losers is a credit to its series, something its other spin offs never quite achieved. It remains a series designed for fans of the original however it can be recommended to newcomers as well now, as events have progressed enough that both narrative and character arcs are clear. All around I eagerly await Volume 3 to see what it has in store.